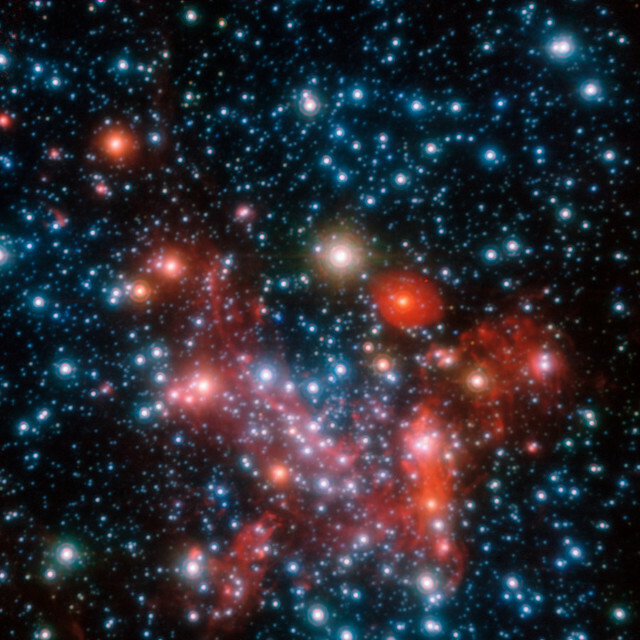 An article published in the journal “Astronomy & Astrophysics” describes the detection of very hot gas clouds that orbit the supermassive black hole at the center of the Milky Way, called Sagittarius A* or simply SgrA*. A team of researchers used the GRAVITY instrument installed on ESO’s VLT to observe infrared light flares coming from the gas and dust accretion disk that orbits SgrA* at very high speed. These are the most accurate observations of materials so close to a black hole’s event horizon. It’s been known for a long time that at the center of the Milky Way there’s a supermassive black hole and its mass has been estimated at just over four million times the Sun’s. However, our knowledge of these objects is still limited and it’s impossible to observe them directly. This makes all information about the area around a black hole particularly valuable for its influence on the materials that surround it. In the case of a supermassive black hole, gas and dust form an accretion disk around it and its materials can be heated to the point of generating electromagnetic emissions. The GRAVITY instrument on the Very Large Telescope (VLT), activated in 2015, was designed to observe in detail objects such as the centers of galaxies thanks to a remarkable sensitivity that can detect even emissions that are too weak for other instruments. In this case, those were infrared flares emitted by materials that approached the event horizon of SgrA* at a speed estimated at around 30% of the speed of light. This is called the innermost stable orbit, which means that the materials that get closer to the black hole get swallowed up. The three flares detected are consistent with those predicted for hot spots orbiting an object with the characteristics of SgrA*. They were detected by a stroke of luck during another research described in another article published in the journal “Astronomy & Astrophysics” in July 2018 that aimed to verify that the relativistic effects on a star called S2 in that area matched those predicted by Albert Einstein’s theory. During that research SgrA* was monitored as well and the emissions from highly energetic electrons close to the supermassive black hole’s event horizon were visible at infrareds. Reinhard Genzel of the Max Planck Institute for Extraterrestrial Physics (MPE) in Germany, who led a team of scientists from various institutions in these researches, explained that this was their dream project but they didn’t dare hope that it would be possible so soon. The lucky coincidence in their observations offered more than expected, also confirming the excellent results for the GRAVITY instrument. The confirmation of the presence of a supermassive black hole at the center of the Milky Way is far from a surprise, but in the study of these extreme objects every confirmation of theoretical predictions is an excellent result. 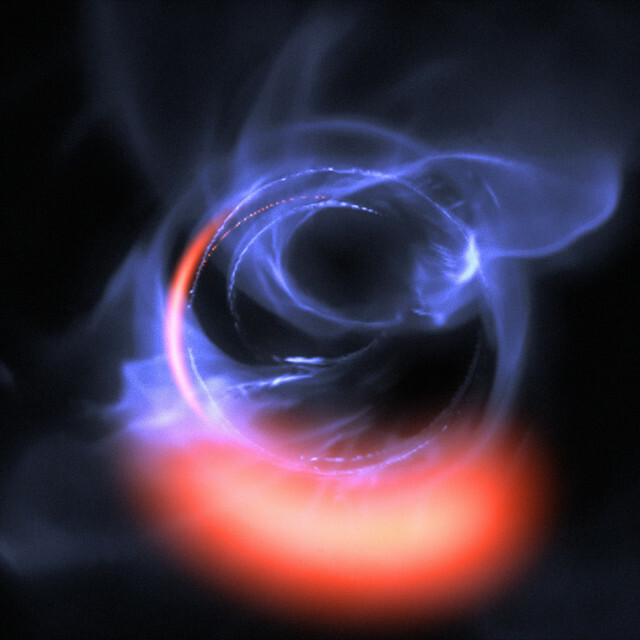 Many researchers are trying to understand the consequences of these black holes’ activity because it can have a remarkable influence on the galaxies that host them, for example on star formation.